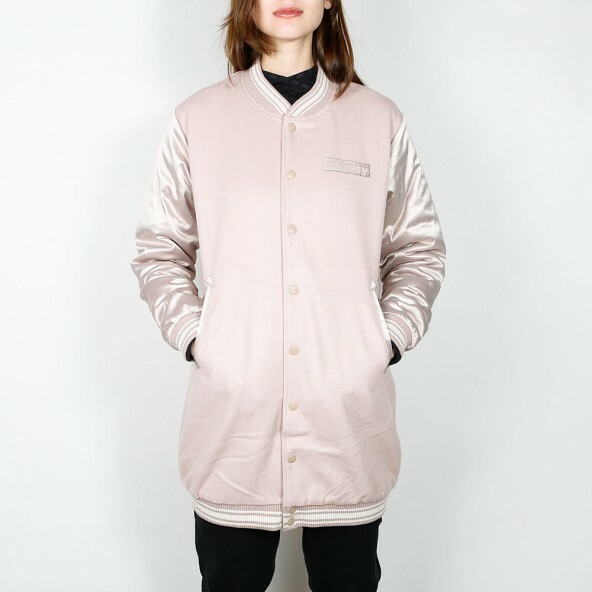 The Stussy Longline Bomber Jacket for women is a classic Bomber Jacket plus X. 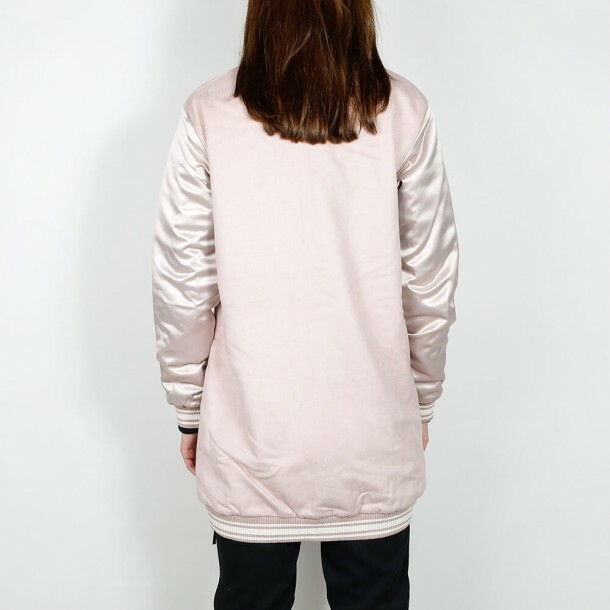 With the Longline, the traditional Bomber look gets a little makeover with an extra long cut. 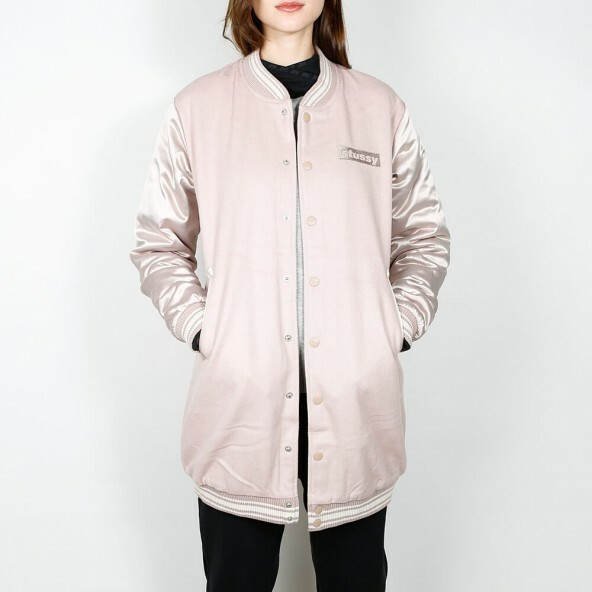 The jacket's got a complete snap button front and sleeves made of satin what gives it the classic look of a college jacket in an especially smart and elegant way. 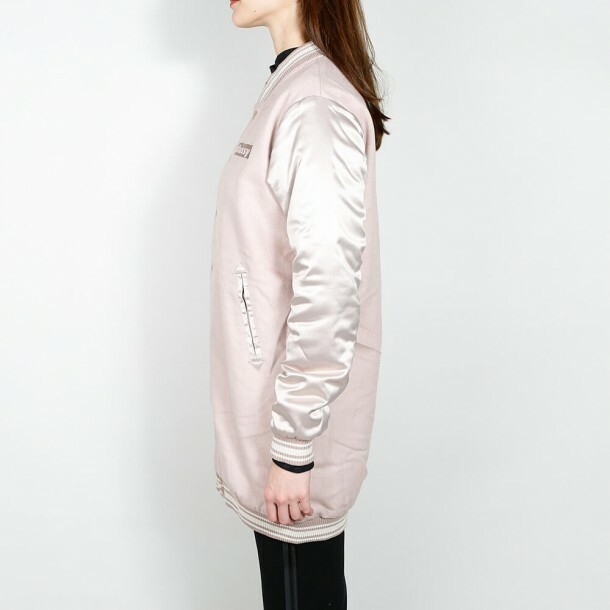 The wool lining keeps your body warm and makes the Longline Bomber Jacket the perfect companion for cold weather.